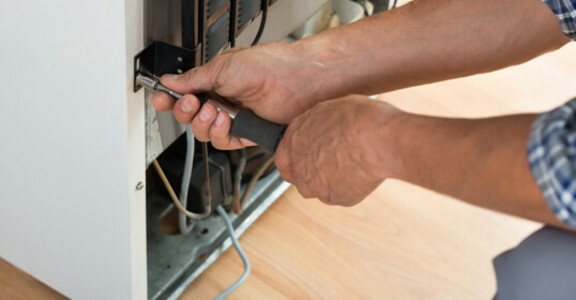 You can check a few places for problems, such as the thermostat, fuse box, power cord or cable, voltage etc. But if you don’t find any problem with these or are not able to gauge it appropriately, you can choose UrbanClap’sGodrej Refrigerator repair service to get it diagnosed and resolved by a professional. Presence of smelly food inside the refrigerator such as chopped onions or fish can cause it to smell bad. Also, a dirty fridge becomes the reason of odour from a refrigerator. Therefore, getting the Godrej fridge cleaned at regular intervals will help keep bad odour at bay. Try adjusting the temperature settings of the freezer. If that doesn’t work, you can use UrbanClap’sGodrej Refrigerator repair service and get the problem fixed by an expert Godrej professional. With Godrej being the first company to introduce refrigerators in India, you can trust the technology and built of their refrigerators. Popular since 1958, they have evolved continuously with time. Their range of refrigerators has incorporated cooling solutions that make your life easy and comfortable. Refrigerators run 24X7 in homes and serve the whole family. However if they break down, it creates problems for everyone in the family and if not quickly repaired, can result in food spoilage and waste.If you find that your refrigerator is not working or is having issuesyou can opt for UrbanClap’s platform for Godrej refrigerator repair services and get immediate assistance for your Godrej refrigerator repair. Open UrbanClap’s website or mobile app and type ‘refrigerator repair’ in the search tab. A dialogue box containing a set of questions will appear before you on your screen. These questions are aimed at extracting information regarding the type, brand, model of your refrigerator; your preferred time, location etc. Answer all these questions to get your request uploaded to the portal. Once the request is processed an expert will be at your doorstep in no time to resolve your problems. UrbaClap offers you to get rid of the hassle of visiting a refrigerator service centre. The professional will visit you and check the appliance. After inspection, he will give service suggestions, and accordingly the quotation. You can either choose to go ahead with the service recommended or deny it. In case you don’t avail the service, you will be entitled to pay the inspection charges. Refrigerator not cooling: Tick against this option if your Godrej refrigerator is not cooling properly and you need a professional to fix it up. Refrigerator making noise: Choose this service option if your fridge is making noises. Refrigerator not turning on: Select this service option if your Godrej refrigerator is not turning on and needs inspection from a professional. Why UrbanClap Godrej Refrigerator Repair service in Delhi? Expert technicians: At UrbanClap you will find only expert technicians and servicemen which are selected after a strict scrutiny of their background and qualification. Insurance: Insurance of INR 10,000 is granted by us to the customers to provide them protection against damages whilst repair service. Flexibility: Be it a single door, double door, side-by-side or compact Godrej refrigerator, we provide repair services for all categories. Service guarantee: We also provide guarantee for our services. The Godrej refrigerator repair service comes with a guarantee of 30 days.